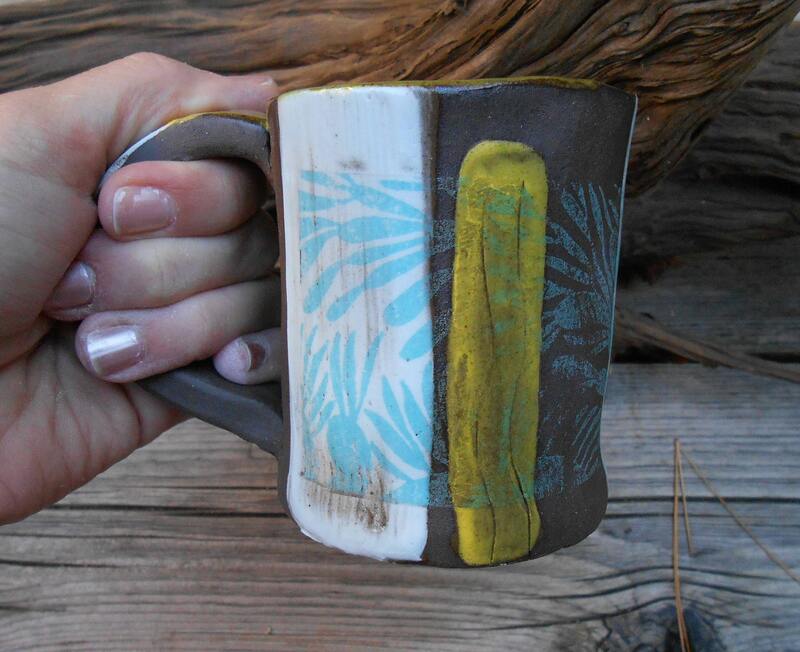 This hand built clay mug is made from a dense, walnut brown stoneware. 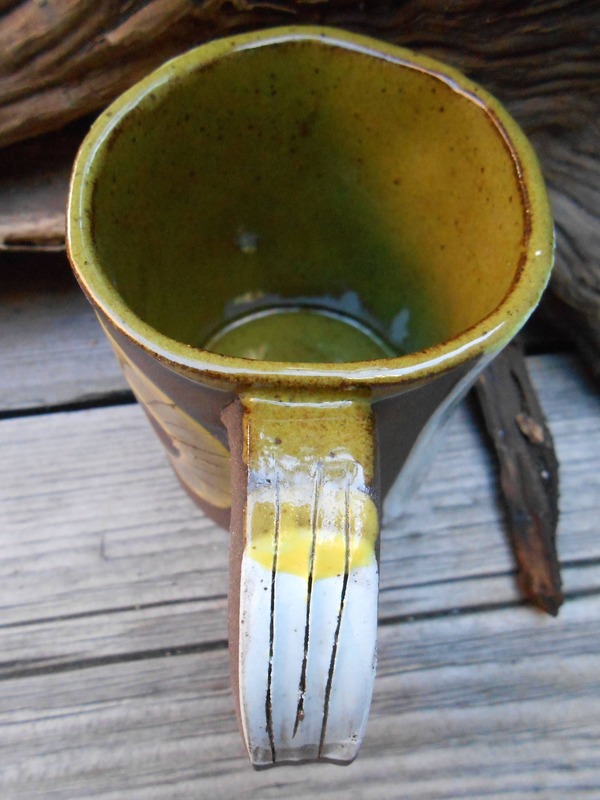 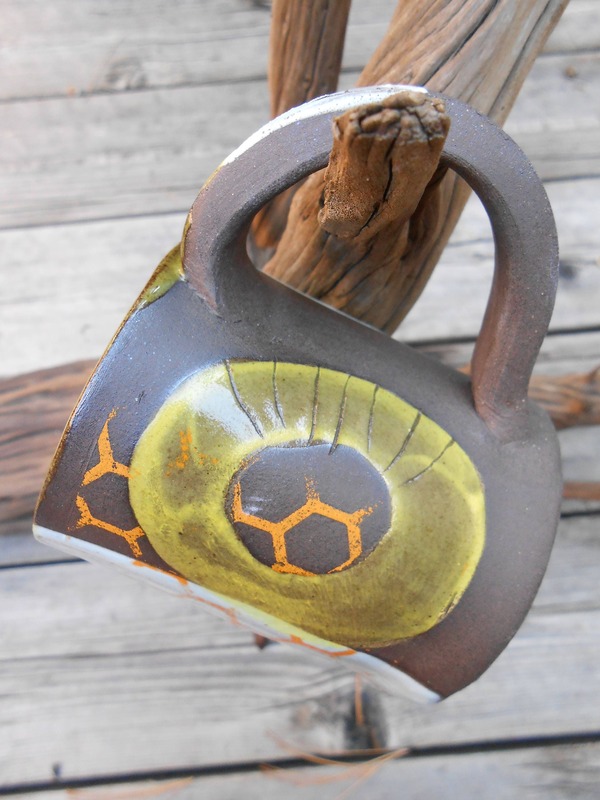 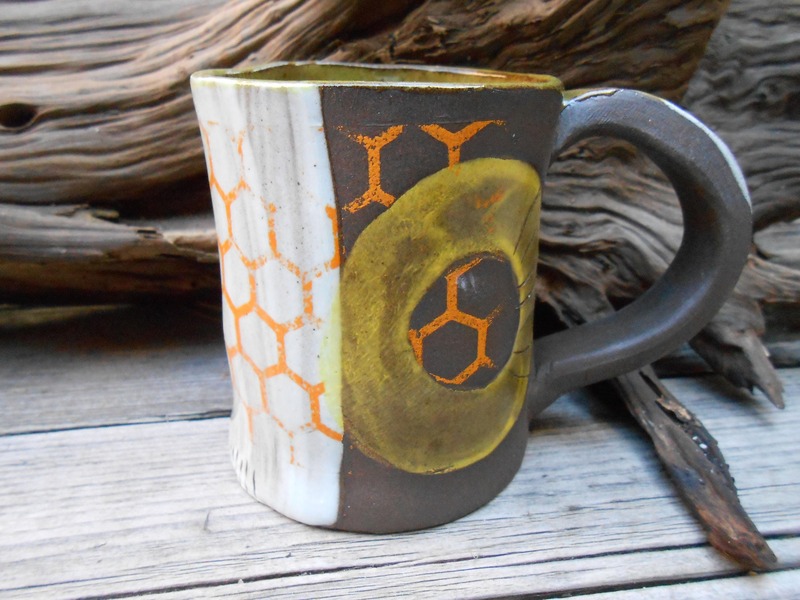 Glazed on the interior in a speckled green, the outside gets a little interesting... Underglaze Isla transfers, colored slip sgraffito, and brushed on underglaze adorn the exterior of the mug, making this piece one-of-a-kind. 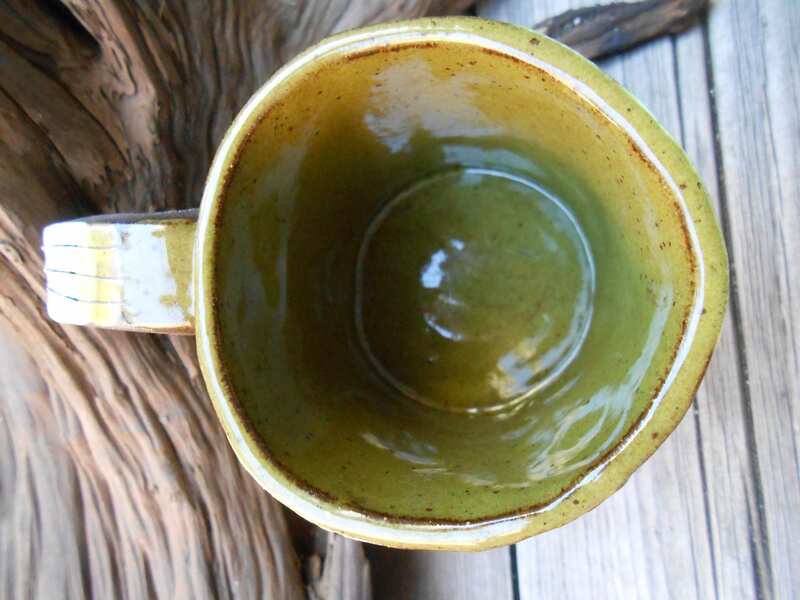 Brown clay is left raw, with some exterior portions glazed in clear. 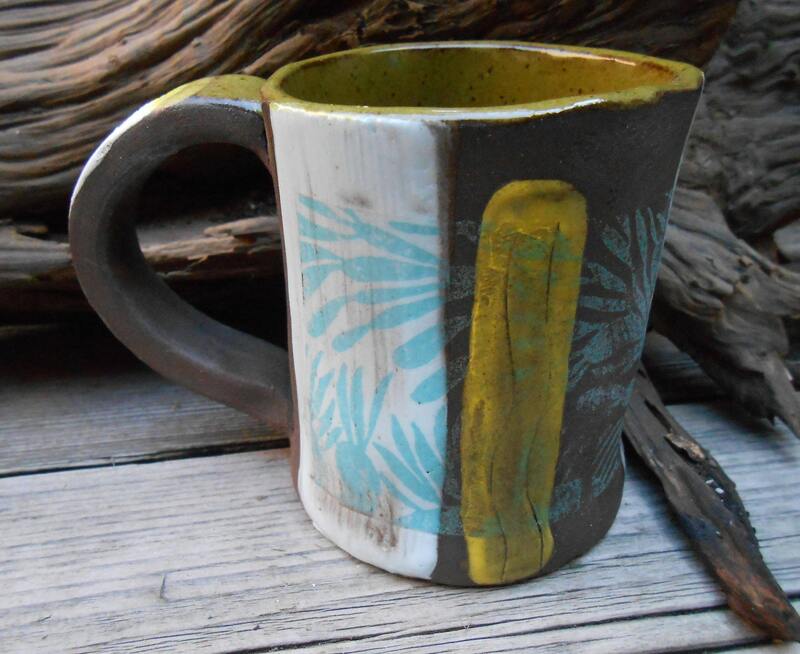 Measures 3 1/2" tall by 2 3/4" wide at the lip.